Get stage-ready power handling in a cab that weighs just 16 lb. It is a Quilter, so of course it's light! Weighing in at only 15 pounds (6.8 kg) the BlockDock 10TC is the perfect lightweight solution to answer the question, "What speaker cabinet should I choose for my 50-100 watt block amplifier?" Featuring 15mm baltic birch construction with pro audio grade bracing and reinforcement, it is practically bulletproof! Have you ever noticed that look of shock when someone picks up your Block Series amplifier? Now you can get that same look when they pick up your cabinet. The BlockDock 10TC is loaded with the highly potent Celestion TF-1018 speaker. 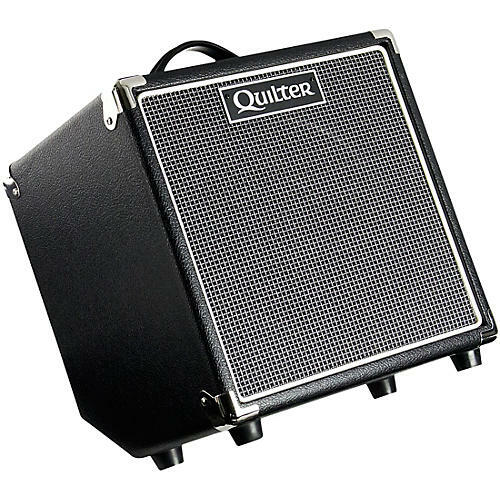 The big brother to the 8 inch speaker Quilter put into its 8 inch combo amplifiers. Huge sound in an ultralight package! The BlockDock 10TC accepts 101 series amplifiers including the 101 Mini Head and the 101 Reverb! All this in a single, professional cabinet that may be lighter than your guitar! Quilter builds professional equipment for real musicians who need professional tools to hone their craft day in and day out nothing more, nothing less. The BlockDock 10TC is the workhorse that will get you to the studio or the gig, turn heads, and get you home without breaking a sweat, and without breaking down!